‘Super Samoan’ thinks ‘Demolition Man’ played up an illness to get an unfair advantage for their March bout. Mark Hunt just can’t seem to catch a break. The New Zealand heavyweight keeps finding himself drawn into unusual circumstances where his opponents are given unfair advantages. There’s his lawsuit against UFC and Brock Lesnar over the promotion waiving a four month USADA drug testing period for the pro wrestler, only to have Lesnar’s tests show he had clomiphene in his system after defeating Hunt. And now Hunt is railing against another instance where he feels the deck was stacked against him in his latest loss to Alistair Overeem. “I still don’t understand why he was allowed an IV,” Hunt said. “If you’re going to set a rule, set a rule for everyone, not change it for your own liking, your own benefit…. I think it’s just a whole crock of sh*t. It’s all made-up rubbish. It’s rubbish, you know? Have rules for everyone, not changing them for anyone. This isn’t as clear cut a case of cheating as the Lesnar situation (where Hunt alleges UFC delayed signing a bout contract for UFC 200 with Lesnar to keep him from being extensively tested). 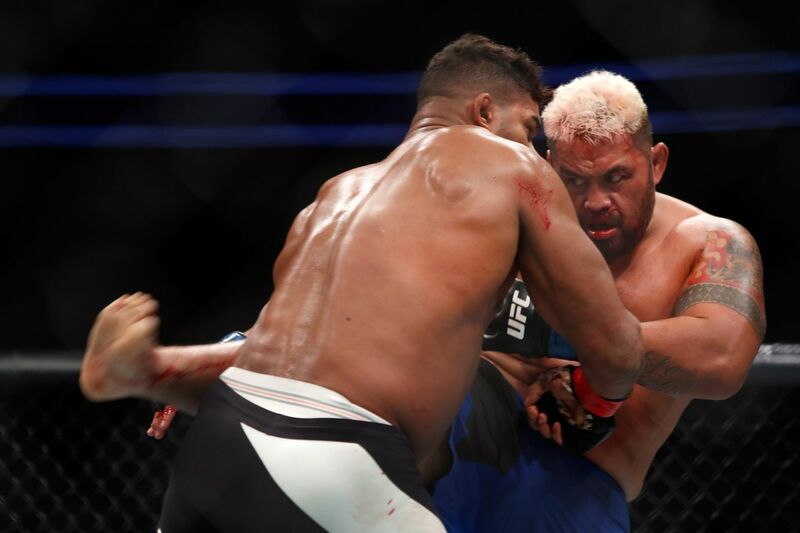 Overeem’s IV use was approved by USADA, and he doesn’t cut weight to compete in the heavyweight division, meaning he didn’t need help rehydrating before the fight. So we’re not sure exactly what kind of advantage Alistair managed to get out of the whole situation. But it certainly seems to have rubbed Mark Hunt the wrong way, and after several fights against opponents who have histories of PEDs use, you can tell he’s feeling pretty suspicious about everything. Hunt takes on Derrick Lewis in his native home of New Zealand on June 11, 2017.